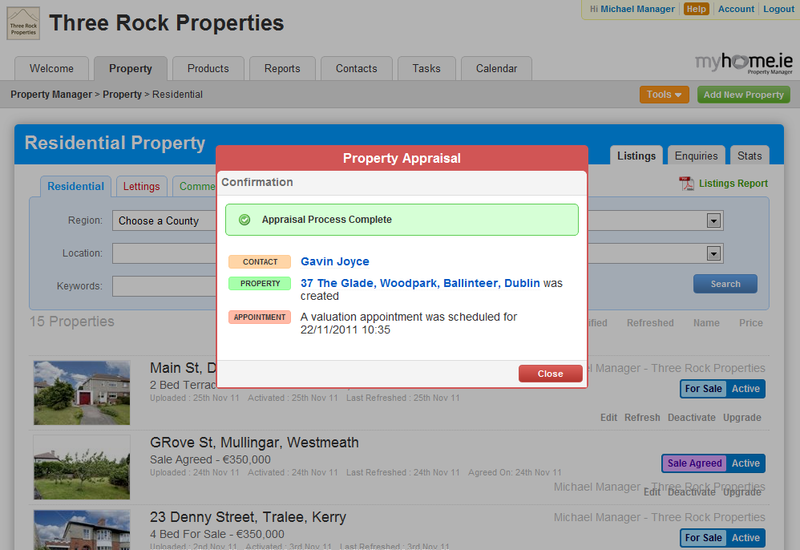 Property Manager CRM gives you full online access to all of your property data. 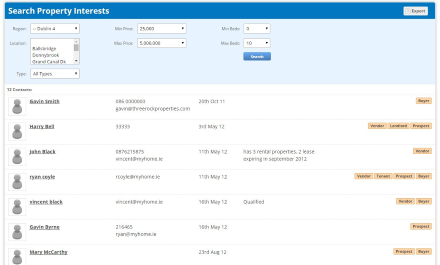 Our platform guides you through all stages of the sales lifecycle capturing data, generating documents and managing appointments automatically. 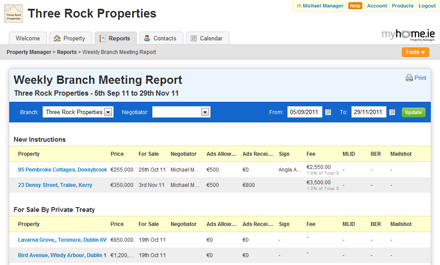 The sales process will become easier than ever before with the CRM’s contact manager. 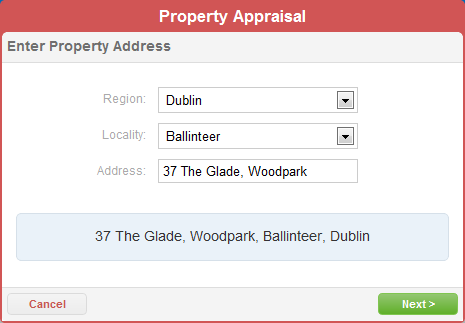 It allows you to keep track of offers and deposits, solicitors and vendors while also offering the possibility of matching a property to an interested buyer in your area. 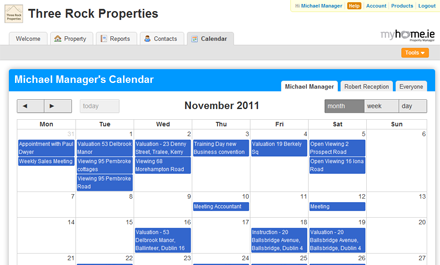 Never miss an appointment again with the CRM calendar. Get reminders to your phone. 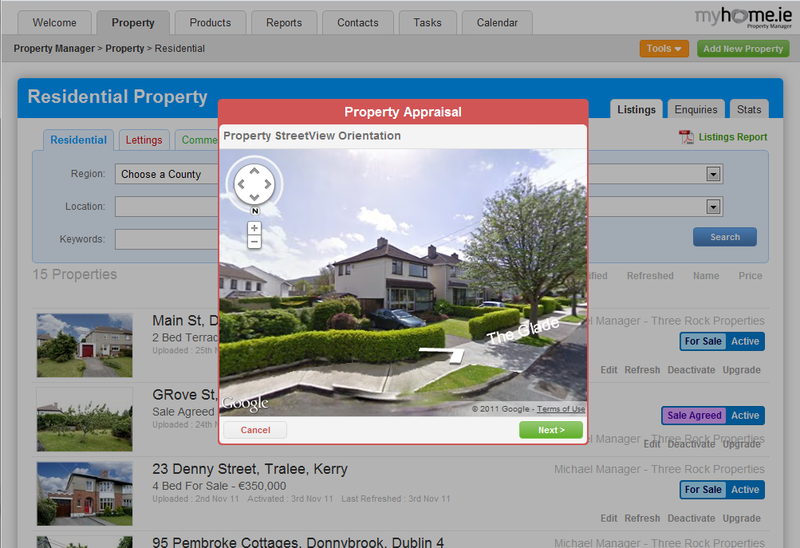 Keep track of viewings, appointments and much more both at your computer and on the go on your mobile phone. 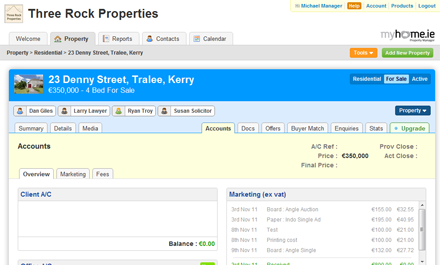 Keep track of all financial transactions with our property accounts. From advertising and marketing budgets to deposits received, you’ll be able to keep track of your finances like never before. Never miss a sale again with full mobile access to your business. 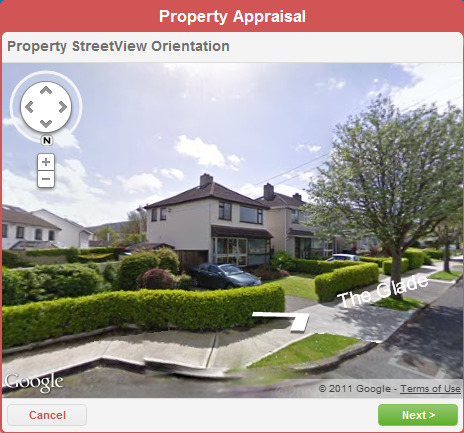 Even when you’re out and about you can keep yourself updated on all the goings on in your business. 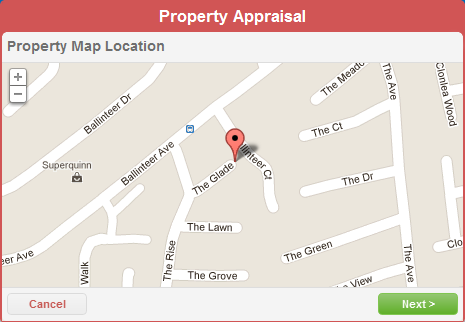 Keep compliant by logging and tracking all property offers. 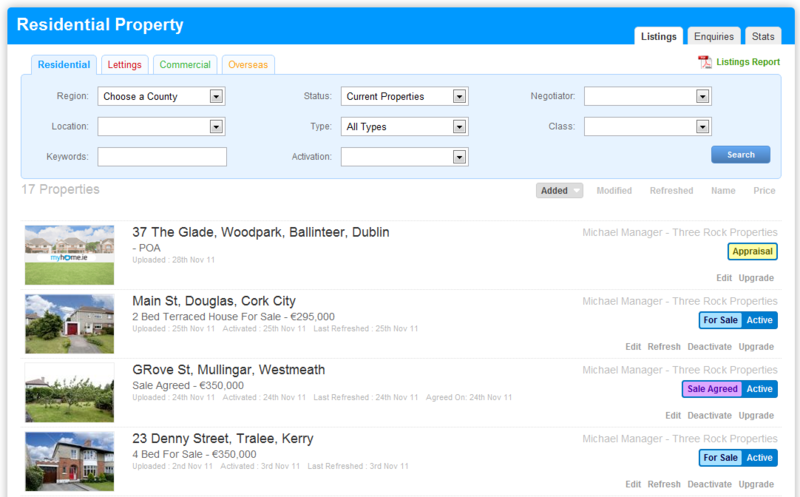 See your highest offer at a glance. 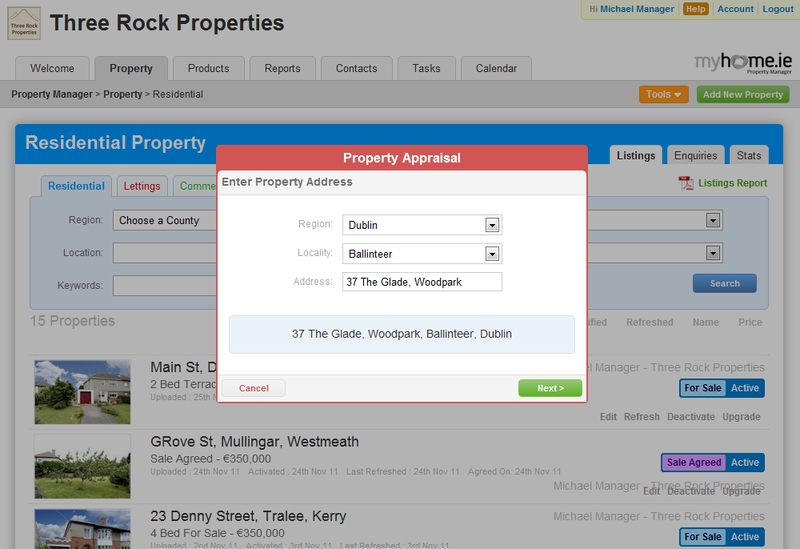 Notify your vendor at the touch of a button. 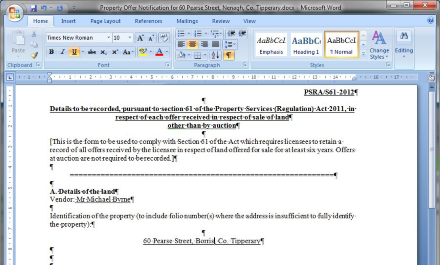 Generate your documents quickly and easily. 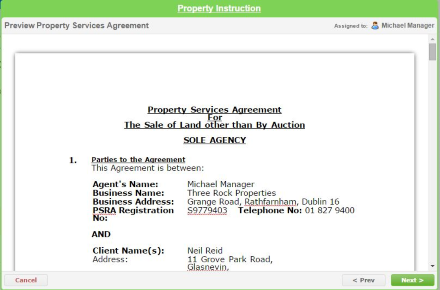 Automatically generate your documents and correspondance at the right time. 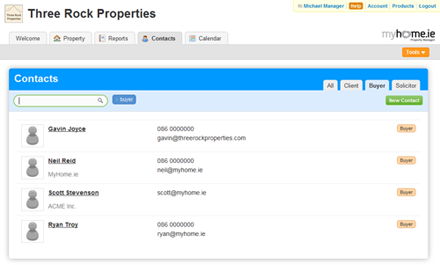 Stored online and linked to the relevant contact and property, never lose any correspondence again, quickly & easily access all documentation from in or out of the office. Get access to the information you need to run your business when you need it. 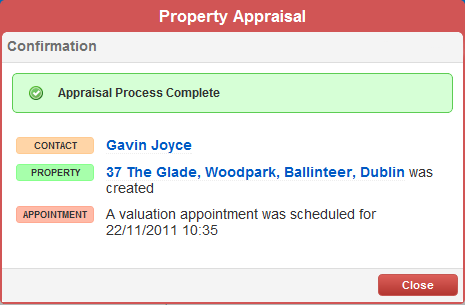 Generate real time reports from our comprehensive suite of reports.